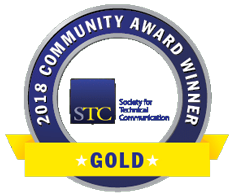 Winners of the Distinguished Technical Communication Award and the Excellence Award in a local or regional chapter competition are allowed to enter the International Summit Awards Competition. Winning entries in the STC International Summit Awards (ISA) competition are presented at the annual STC Technical Summit. A complete list of all ISA winners is on the STC website. ISA winners are announced about a month before the STC Technical Summit. Congratulations to the following Washington, DC – Baltimore Chapter Distinguished and Excellence winners who won awards at the STC International Competition level! Winners at the international level are entitled to display the STC International Summit Awards Competition ribbons. Download and use to promote your award! Best of Show entries exhibit the ideal for their category. They are not judged against each other; they are judged solely against established standards. For example, how do you compare the best annual report with the best software guide? 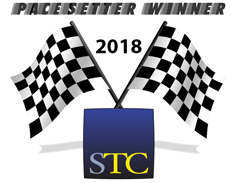 In STC competitions, the best annual report is compared with the ideal annual report, and the best software guide with the ideal software guide. Thus, the Best of Show judges must determine how close each candidate comes to realizing the ideal for its category. The entry that comes closest to the ideal for its category is the Best of Show. Logi Analytics Developer Network Website Lee Hausman, Jim Mouser Logi Analytics, Inc.